Enjoy a sweet tale at the beach! With characters that range from talking animals to magic balloons, these delightful stories are sure to inspire imaginations while teaching valuable lessons along the way. Grandpa Bernie’s wonderful collection of bedtime stories is contagiously fun and sure to bring a smile to everyone! These 20 delightful tales are sure to help your little ones settle down and drift contentedly off to sleep. Written by a grandfather for his own kids and grandchildren, these twenty entertaining stories feature lots of talking animals including a kangaroo who teaches a pony how to jump, a little bear who wants to play baseball, a coyote who learns to fly, a falcon that takes a frog on a magical trip to Japan, and some resourceful ants who build a swimming pool so they can play as well as work. It’s full of positive images and plots that inspire creative solutions to exciting challenges. A lovely collection of read-aloud adventures the whole family will enjoy! Parker Calvert, Empire 4, 2015, Edition of 10, Archival mounted on C-Print seamlessly plexiglass, 20 x 30 in. Escargot, Striped Bass with Truffle Sauce and Aged Steaks are just a few of Chef Arie’s classic dishes foodies can indulge in at Bistro Eté. Although the Cypriot born Chef studied in Paris and trained in the South of France, his menu flirts with flavors from all over the world. Chef Arie has also written two cookbooks, Foie Gras and Soup — as well as the thrilling romance novel, The Congressman’s Wife. Bistro Été is hosting an inaugural art opening and book signing on July 31 from 2pm to 4pm. Bottle Hampton will provide refreshments and light hors d’oeuvres will be served. Bistro Été looks forward to more cultural as well as charity and art events this summer. Clayton Calvert, Green and Gold, 2015, Oil on canvas, 18 x 24 in. About the Calvert Brothers: The Calvert brothers were born and raised in New York City and have been coming out to the East End since childhood. The light, nature and beautiful ambiance of Long Island continue to inspire them. The brothers are delighted to show work together and to share their unique creative visions with the New York City and Hamptons audience. The Calverts are represented by Mark Humphrey Gallery in Southampton and Clayton is represented by Gerald Bland in New York City. Parker Calvert has had photographs published in Art in America, Architectural Digest, featured ads at Macy’s (34th Street), directed commercials and worked as a fashion and commercial photographer in NYC. His work has been featured in exhibitions in New York City, Miami, Washington DC, East Hampton, Bridgehampton and Southampton, NY. Clayton Calvert is a painter, sculptor and installation artist. He has studied with renowned painters Carlo Maria Mariani, who spent 20 years in Bridgehampton, as well as John Foote and with esteemed sculptor Thomas Lollar. His experience living in Rome studying art and architecture continues to inform his practice. His work can be found around the world in corporate and private collections. He has shown in Rome, New York City, Miami Washington DC, East Hampton, Southampton and Brooklyn, NY. You can buy The Congressman’s Wife at amazon or wherever fine books are sold. Can Wallaby find the Secret Beach and surf the Giant Fist Monster Wave??? Animal Shelters Across the Country will Come Together Today, Saturday, July 23rd, for Clear the Shelters, a Nationwide Pet Adoption Day. Please join us in spreading the word about this special event that aims to help find ‘forever homes’ for animals in need. Hundreds of shelters nationwide will waive or discount their fees as part of this one-day adoption initiative to connect animals with loving new families. You can read more about the event, and find participating shelters here. Did you know that cats spend 70% of their lives sleeping? Long Island author Aristodemos Pavlou is better known as “Chef Arie” to many. Few would guess that this accomplished culinarian had a trilogy of romance novels up his sleeve. But while reading The Congressman’s Wife (Red Sky Presents New York, 2016), much is revealed about this complex man. Perhaps Pavlou is a “romantic” in the classical sense that he rejects established norms and conventions. Just this month he opened his own restaurant, Bistro Été, in the former Robert’s space in Water Mill! But, actually, his finely tuned cooking skills hew to the traditional French and Mediterranean cuisines. The mastery he brings to his work is often what sets it apart. 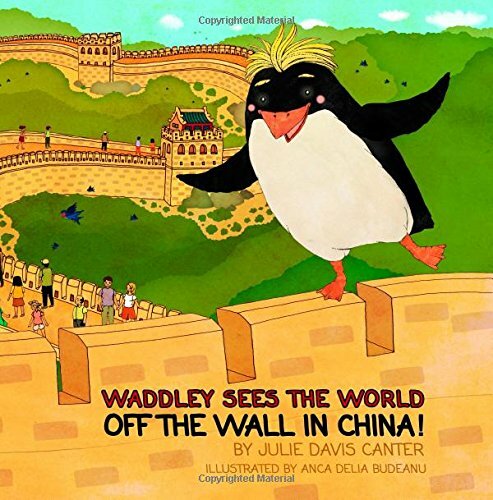 Waddley Makes Friends with Pandas! How can a bird and a bear look so alike?